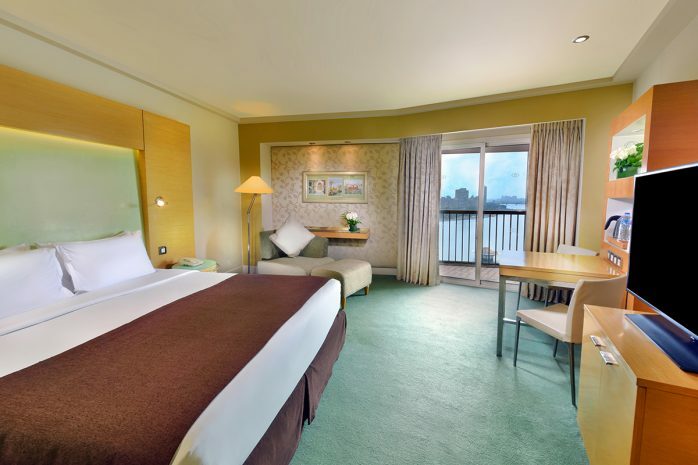 Delight in a Magnifique panoramic Nile view, with décor evoking both Egypt’s desert sands and the verdant greens of the Nile Delta. After waking up in a Sofitel MyBed, step out to a private balcony to watch the sun rise over the river. Rainfall showers, soaking tubs to refresh you, while Free Wi-Fi and satellite TV make it easy to work and relax.